Union civil aviation minister Suresh Prabhu said that he has spoken to Secretary and other senior officials and directed them to conduct a High-Level Enquiry into the incident. 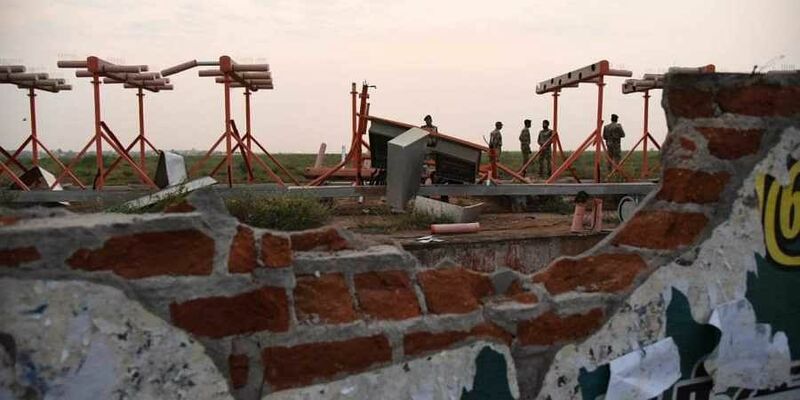 TIRUCHIRAPALLI: Air passengers escaped unhurt after an Air India flight, flying from Trichy to Dubai, with 136 passengers on board hit the ATC compound wall at Trichy Airport on Thursday during take-off. 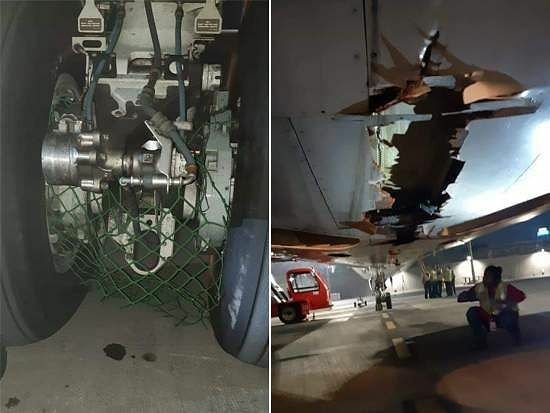 Officials said that the flight had to be diverted to Mumbai Airport and the aircraft suffered some damages under the belly, however, it was later declared fit for operations following an inspection at Mumbai Airport. Union civil aviation minister Suresh Prabhu said that he has spoken to Secretary and other senior officials and directed them to conduct a High-Level Enquiry into the incident. DGCA officers are at site for preliminary inquiry and Aircraft Accident Investigation Bureau officers have also been deputed, he said. “Air India has constituted a Sub-Committee of the Board headed by an Independent Director of the Board for looking at all safety-related issues within the organisation including subsidiaries,” added the minister. Prabhu said that in a recent review of airline safety, he ordered to put in place a third party professional organisation to look into various safety aspects. “In order to have continuous attention towards air safety, I have also ordered concerned officials to put in place a regular "safety compliance report" of all airlines. Safety of the passengers is of paramount importance for us. We will take all that’s required to put the safety on top of aviation agenda. Growth can’t be at the expense of safety,” he added. The Air India Express said that the airline had informed the aviation regulator, Directorate General of Civil Aviation, about the incident. “All passengers were landed safely at Mumbai airport and another aircraft from Mumbai to Dubai was arranged,” the statement further read. A DGCA official said an internal inquiry has been ordered following the incident, and the pilot and the co-pilot have been derostered as the probe is pending. The pilot in command, Captain D Ganesh Babu, has a flying experience on the B 737 aircraft of 3600 hours while the First Officer, Captain Anurag, has an experience of nearly 3000 hours on the B 737. The incident occurred when the plane was moving towards the runway. One of the wheels of the plane struck the wall. Following initial repairs, the flight was diverted to Mumbai at around 1:20 am, where it landed on priority at around 5:35 am and the flight was made to undergo complete repairs. Officials said all 130 passengers and six crew members alighted from the aircraft safely. The report indicates that incident occurred when the plane was moving towards the runway. Apparently the picture shows the under carriage is damaged. The Aircraft was permitted to fly after this incident. Was there any compromise in the safety of passengers in permitting the damaged aircraft to fly?